When you ask what the Romans ever did for us, aside from roads, aquaducts and wine, perhaps they are most associated with the wonderful mosaics that they created. 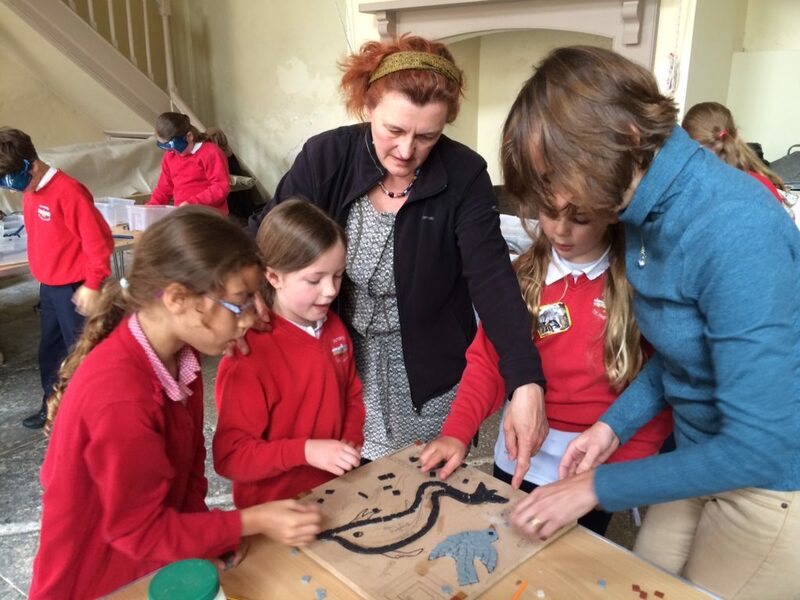 As part of Wimborne History Festival children at Pamphill First School have had the opportunity to create their own mosaic to display in their school. Artist Joanna Dewfell joined the children at Pamphill to talk all things Roman and work with the children to plan and draft up designs for the mosaics. 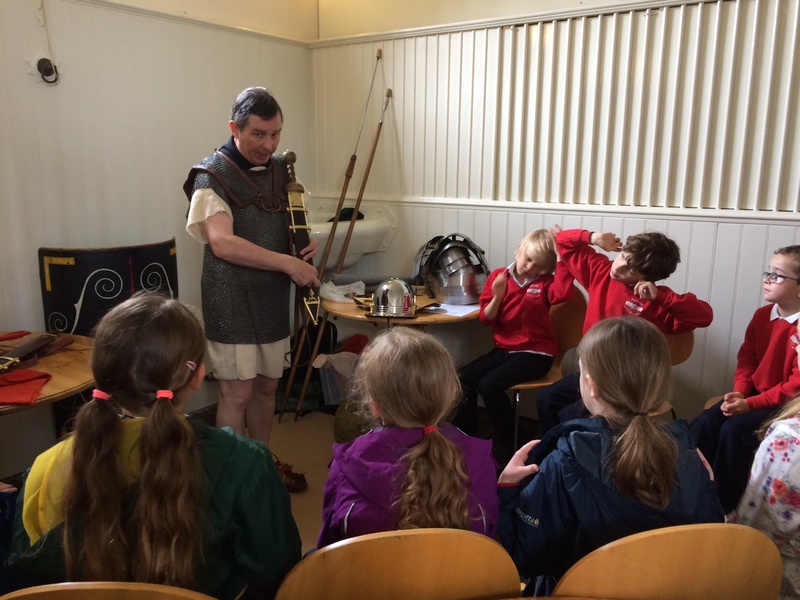 With the designs agreed the children spent a day at nearby Kingston Lacy (National Trust) where they created the mosaics, made laurel headdresses and discovered all about life in Roman times from a Roman Centurion – the marching lessons went down particularly well! The three mosaics, depicting a vase (urn), a dolphin and dove and a Roman Centurion, shown below, will form a triptych to be mounted in the school hall.